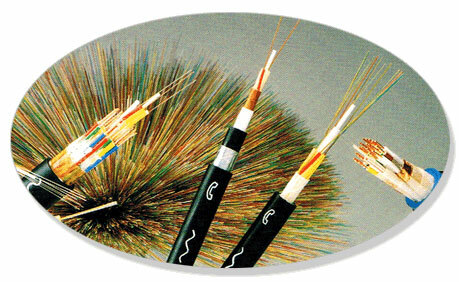 Tele-communication cables are a type of guided transmission mediums. Cables are usually known to transmit electric energy (AC/DC) but in telecommunications fields, cables are used to transmit electromagnetic waves, they are called electromagnetic wave guides. Telecommunications are based on transmitting modulated waves/signals through a medium and receiving them. When the distance between the transmitter and receiver is far, or we are using unguided medium transmission, the antennas are used, otherwise in guided medium transmission, the telecommunication cables are used. Telecommunication cables are divided into several types.